Looking to get you a new Microsoft Lumia Mobile phone at a good price? Tigo Ghana has a discount promo up. 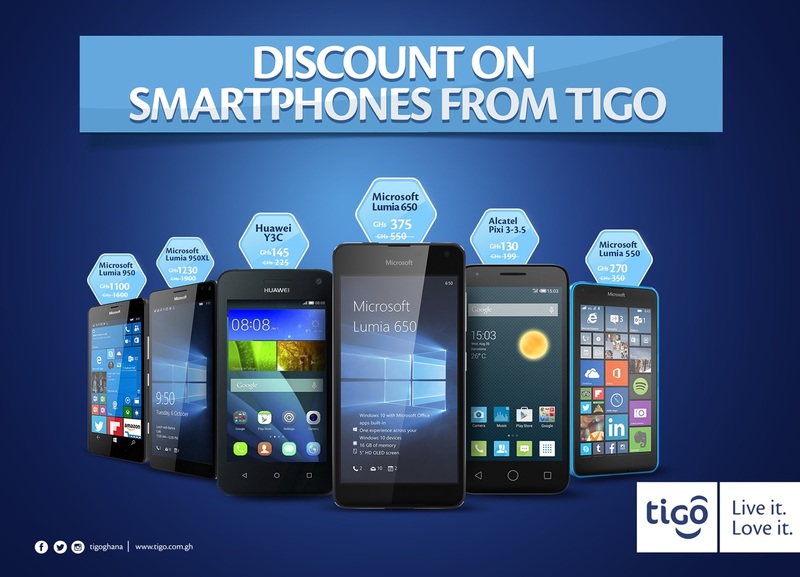 Tigo Ghana is discounting on some Microsoft Lumia devices. The sleek looking Microsoft Lumia 650, Lumia 550, Lumia 950 and 950XL are all on discount. The promotion is available in Tigo Ghana shops across the country. Buy any of the devices and instantly get 1GB free data for 30days and receive double data on all weekly and monthly data packages you buy. This discount offer is available to all our new and old customers and can be found in all of our shops countrywide. We don’t know when this offer ends but think there are some really good offers in there. Especially the Lumia 650 at GHS 375. This looks like an opportunity to get an extra device for Windows 10 Mobile Insider previews. Have you been looking for an offer? Seen better discount prices anywhere? Do you intend to get one? Share with us.